In a word: Taqu-in' care of business. 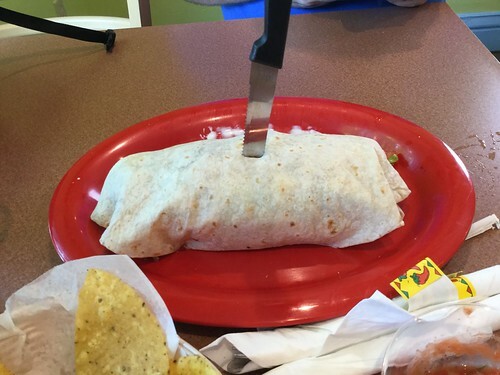 JM ate the chicken burrito. Nichole ate two tacos and an horchata. The bill was about $25, or $12ish/person, plus tip. JM gave Taqueria El Jalapeno an A- ; Nichole gave Taqueria El Jalapeno a B+ (see our grading rubric). 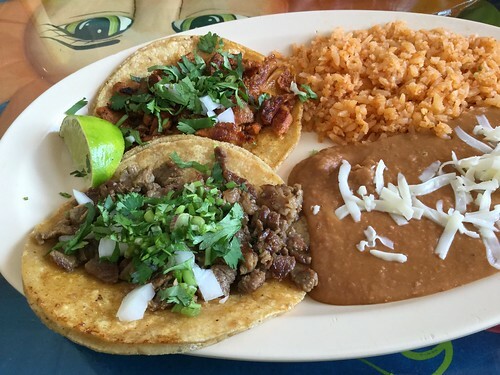 The southwest side of town has pretty good Mexican eats with La Nopalera, Los Atlantes, La Mestiza, Los Gemelos and even Laredo's in a pinch. 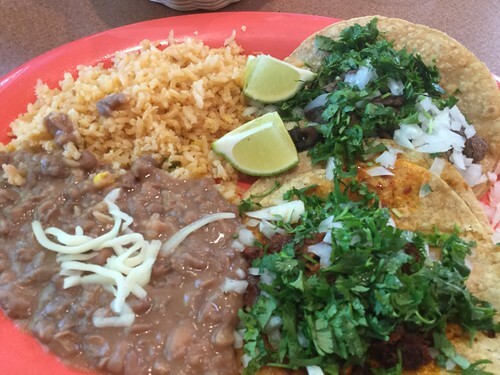 But Taqueria El Jalapeno still finds a way to cut through the clutter and be its own thing. In this case, a place where you can get full at a reasonable price without sacrificing quality. JM had an enormous chicken burrito with came with sour cream and avocado on top (and queso, sweet sweet, queso). This was entirely filling and yet every single bite had to be consumed because it was so tasty. Nichole got two tacos, al pastor and steak, which were both delicious. A glassful of their horchata was among the best Nichole's had in town. 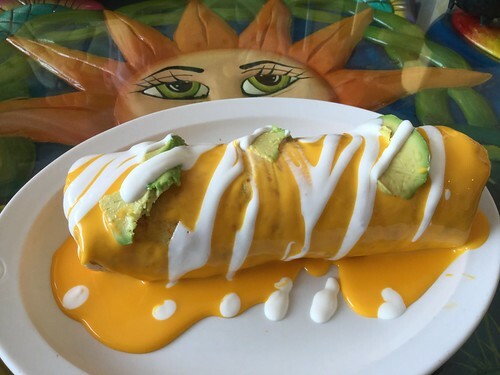 This location has been at least to Mexican places (and Donut Delight and Mediterranean Delight before that) but it seems to have settled into its role as a good place for standard fare. We'll be back to try more of the menu fer sher.